POINT GREY VIEWS! Spectacular water, city & mountain views from this 40' bright corner lot in West Point Grey. Immaculate newer construction (built in 2000), almost 3000 sqft with 3 bedrooms & 2 baths on upper floor, lots of natural light with corner windows, radiant heat, roof deck with hot tub hook up, den and family room on the main floor and fully finished lower level accommodation. Master bedroom with walk in closet, ensuite bath, balcony and breath taking VIEWS. Built-in vacuum, in-floor radiant heating, speakers, alarm system and ample storage in crawl space. Kitchen equipped with stainless appliances & granite counters. Gas fireplaces in family room and living room. 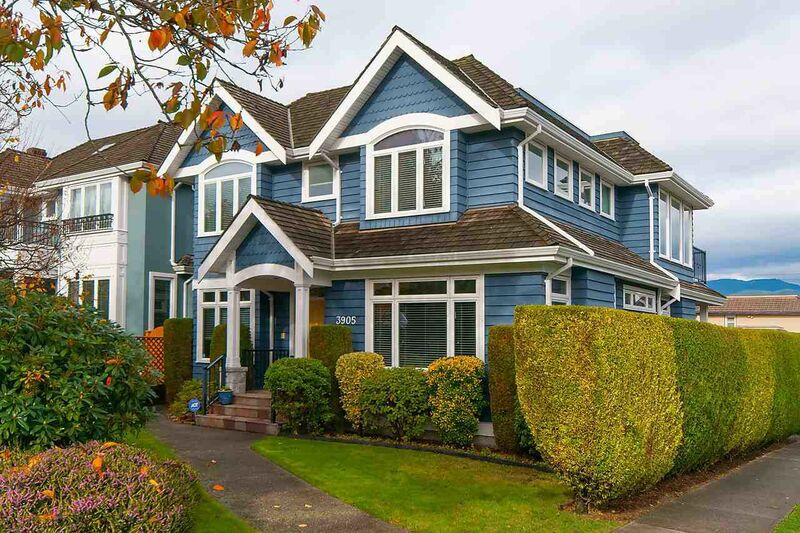 Tastefully landscaped to provide optimum privacy, 2 car garage and located on a quiet street within walking distance to Lord Byng High School and Queen Elizabeth Elementary as well as the bus line to UBC.